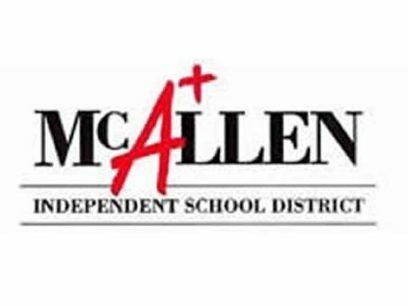 The McAllen school district board of trustees received an update Monday evening on the projects being financed with funds levied by the recently-approved Tax Ratification Election. In total, the district will be able to move forward with about $2.6 million worth of safety and security upgrades and about $4.7 million for student achievement, including the long-awaited science labs. The election, known as TRE, was approved by voters in September, allowing the district to move all of their tax pennies to the Maintenance and Operations (M&O) slot rather than the usual division between this fund and Interest and Sinking (I&S). The move was done in order to receive a higher state match, and district officials said it will result in about $14 million in additional state funding. The budget was approved by the board with these additional funds taken into consideration. On the safety and security end, the district had allocated $1 million for facility security upgrades, including fencing, modification to front entrances and camera systems that will be implemented in the coming months, said Ruben Treviño, facilities maintenance director for the school district. Additional funding was allocated to place 19 police officers at elementary schools. The total for payroll and equipment was $983,693. The officers will be ready to start Nov. 26, allowing all elementary schools to have a police officer on site. Most equipment costs will not be recurring expenses for these new officers. The district is also allocating $85,600 for upgrades to their current police department district-wide. Intercom upgrades are already underway as well, Treviño said, as contracts have been approved and the design phase of the upgrades will follow. The total cost is $440,000 for the intercoms. The health services department is also getting ready to purchase 134 defibrillators for $103,658. On the Student Achievement side, there were two main items, a staff compensation plan of $1.4 million that was implemented a month ago, and state-of-the-art science labs for all high schools — McAllen, Memorial, Rowe and Lamar Academy. The school district is allocating about $3.3 million for the total upgrades, which at most campuses will involve demolition of spaces to build the science labs from scratch. The goal is to have the labs completed by the beginning of the 2019-2020 school year, he said. Going out for bids by December will allow them to have contractor on board by January or February, receive equipment by April and begin the demolition and modification in the summer months. Treviño said they feel comfortable the full project will be funded for the allocated amount of $827,607 or under. And once the work is completely analyzed, some of the demolition might be done in-house. Each high school is slated to have at least two new science labs, and at Nikki Rowe High School there is conversation of an additional lab.